At least 16 people were killed and 140 injured Saturday when lightning struck a church in the southern region of Rwanda, according to a provincial governor. Many of the victims died instantly after the lightning hit the Seventh-Day Adventist church where they were gathering, while two died later after being taken to a hospital. As confirmed by Local mayor Habitegeko Francois and provincial governor Rose Mureshyankwano, 17 of the injured are still being treated in hospitals while the rest have been discharged. “Doctors say that only three of them are in critical condition but they are getting better,” said Francois. The incident took place in Rwanda’s Nyaruguru district, located in the mountainous southern region near the border with Burundi. It happened at around midday while churchgoers from the town of Gihemvu were attending a church service. A similar incident took place on Friday in the same area, when a group of 18 students were struck by lightning, killing one of them. Three of the students remain in the hospital receiving treatment, while the rest of the students have been sent home. Because of Rwanda’s many hills and mountains, lightning strikes are frequent in the country. Every year, the national police record a number of human and livestock death due to lightning strikes. In October 18 people were killed in various parts of Rwanda as a result of lightning strikes. According to Rwanda’s Ministry of Disaster Management and Refugee Affairs, lightning killed 30 people and injured 31 in 2016. Additionally, lightning strikes led to the death of 48 livestock. 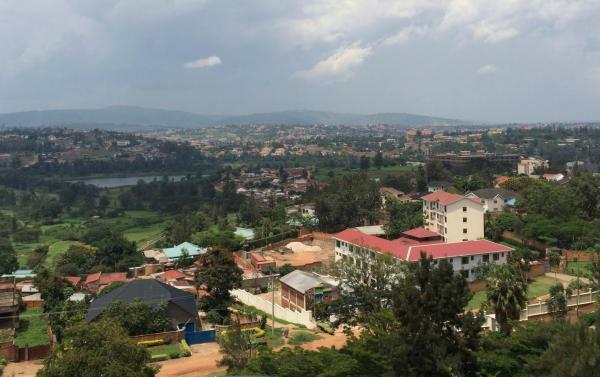 The fatal church incident comes less than two weeks after Rwanda authorities closed down more than 700 churches due to violations of building regulations and noise pollution. A number of the closed churches did not have required lightning rods, which are intended to protect a building from being struck by lightning.